Technology integration security company IPKeys has acquired compliance management system provider SigmaFlow in a push to accelerate the delivery of cybersecurity offerings for public safety communications and utility sectors. 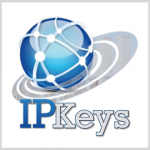 IPKeys said Monday it seeks to further leverage the Cyber Lab as a Service platform and associated support services the company has previously provided to defense and federal civilian customers. SigmaFlow offers a technology platform designed to help utilities comply with North American Electric Reliability Corp.’s critical infrastructure protection standards. Carter Schoenberg, former CEO of Hemisphere Cyber Risk Management and a 19-year cybersecurity market veteran, will join IPKeys as executive vice president of cyber solutions for its power partners subsidiary. The Power Partners business works with government and commercial clients to help them develop, integrate and deploy IP technology and communications systems.